Spanish league leaders Barcelona are five points clear in the points table but their race for the title has been hit with some major injury concerns. Spanish league leaders Barcelona are five points clear in the points table but their race for the title has been hit with some major injury concerns. 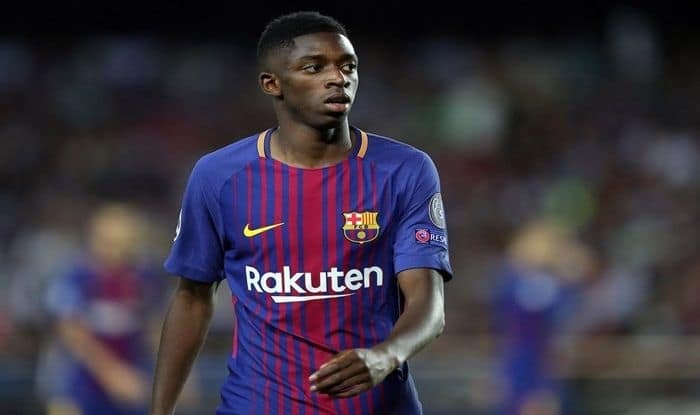 The club’s promising and in form French winger Ousmane Dembele has been diagnosed with a sprained ankle on his left foot which could leave him in the sidelines for up to 15 days. Dembele underwent a medical checkup in the morning that confirmed the injury he sustained during his side’s 3-1 win over Leganes in Sunday’s La Liga action at the Camp Nou, when he had to leave the pitch in the 69th minute, reports Efe news. “Tests carried out on first team player Ousmane Dembele have confirmed a sprained ankle that will keep him out of action for approximately 15 days,” the club said in a statement. The 21-year-old Frenchman was therefore expected to miss the Copa del Rey quarterfinal two legs vs Sevilla, as well as La Liga duels with Girona and Valencia. Dembele did not participate in the team’s training due to the injury on Monday. Some team B players took part in the session: Iñaki Peña, Juan Miranda, Riqui Puig and Ballou Tabla, while the starters in Leganes’ match Sunday recovered.